Sungold has openings for Independent Manufacturer Representatives in select territories and markets. Required is either complementary lines OR experience with abrasives AND relationships with existing distributors and end users. Exclusive territories are assigned by specific industries. If you are currently a manufacturer's representative and you are interested in exploring whether Sungold would be a good fit for your customer base and a good match for your existing product lines, contact us through the contact page on this web site. 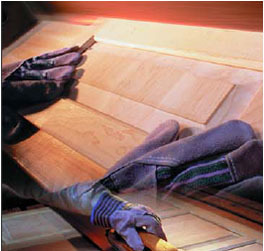 We manufacture a full line of sanding belts, sanding sheets, sanding discs, rolls and related products. Service, quality and meeting customer needs are our guiding principles. Sales Postitions - Positions available for highly experienced sales people from the coated abrasive industry. Eligible employees at SUNGOLD Abrasives are provided with a wide range of benefits. All employees with the status of regular full-time employment are eligible for benefits. Sungold is a manufacturer of coated abrasive products.